We all know saving the lives of teens is important. I’m personally involved with volunteering time to help promote more teen driving education and training to more teens. Below we are gathering a list of teen driving programs. Please feel free to leave a comment with your suggestions or additions to the list. Thanks! The site is full of information, resources, and tips to help you stay safe while enjoying your new found freedom in the driver’s seat. The Mercedes-Benz Club of America Educational Foundation is working with volunteers and potential training facilities to foster teen driving programs throughout the United States. Tire Rack has joined with the non-profit BMW CCA Foundation to bring the Tire Rack Street Survival teen driving program to the nation. Through the volunteer efforts of members of the BMW Car Club of America, the Sports Car Club of America, the Mercedes-Benz Club of America and the Porsche Club of America as well as other automotive enthusiasts who serve as the personal coach with each teen, over 85 schools will be held across the U.S. this year. It’s about more than DRIVING. It’s about LIVING! The school’s aim is to reduce deadly car crashes involving teenagers by providing them a controlled setting where they can gain invaluable experience in car control, all with a knowledgeable coach always at their side helping them to understand how important experience is over guessing when the unexpected happens on the road. Tire Rack Street Survival upcoming class schedule here. Founded in 1927, American Family is the nation’s third-largest mutual property/casualty insurance company. Since the March 2007 rollout of the Teen Safe Driver ProgramSM, more than 6,000 American Family customers have participated. The program is now available in all 19 American Family operating states. 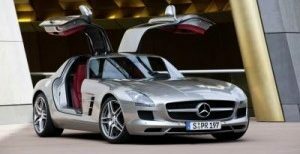 Press Release: March 23, 2011 – MONTVALE, N.J.
Mercedes-Benz USA announces today that in late 2011 it is planning to offer driver’s education with the aim of teaching teenagers the skills and competencies for safe and enjoyable driving. At the core of Mercedes-Benz Driving Academy is an innovative driver’s education approach that reflects the best teaching methods from around the world that is currently being finalized and specifically tailored to the U.S. environment. The research-based approach is being designed to improve the effectiveness of time spent in the classroom, online, and behind-the-wheel. The goal of the Mercedes-Benz Driving Academy is to prepare students for today’s driving environment by going beyond basic car control skills and rote learning of traffic rules. Research clearly identifies that the standard U.S. formula of 30-hour in-class education followed sequentially by 6 hours of behind-the-wheel training cannot reasonably be expected to transform a non-driver into a safe driver1. Mercedes-Benz has been working with international driver education experts to develop an innovative curriculum-based program. A Mercedes-Benz Driving Academy in the U.K. was launched for the first time in 2009 based on this curriculum and since then 4,500 students have enrolled in the program. Amongst those who already obtained their driver’s license and participated in the program, had a first-time pass rate of 79 percent – nearly double the U.K. national average of 43 percent. Mercedes-Benz is combining insights and key elements of the U.K. curriculum and delivery methods with U.S. DMV (Department of Motor Vehicles) requirements to develop the integrated program that is going to be offered at the Mercedes-Benz Driving Academy in the U.S. later this year. Mercedes-Benz has already met with DMV representatives to discuss the development of an integrated curriculum that fulfills all state requirements, which positions the Company as the first and only auto manufacturer to offer a complete, state-certified driving school in the U.S. It is well known that there is a disproportionately high driving incident rate among teen novice drivers. According to the Centers for Disease Control and Prevention motor vehicle crashes are the leading cause of death for teens in the U.S. In fact, teens aged 16-19 are four times more likely to crash than adults. While technology has led to more driver distractions, especially for teens, driver’s education is being offered in fewer and fewer high schools in the U.S. That is why many organizations and experts are seeking ways of improving driver’s education. Due to the alarming rate of teen deaths caused by motor vehicle collisions, national and state legislators, regulators, law enforcement, public agencies and other safety advocates have worked hard over recent decades to find ways to reduce the number of fatal and serious injury crashes on our highways for decades. In fact, Mercedes-Benz is also finalizing plans to work with leading driver safety advocacy organizations and law enforcement to create a public service outreach program that emphasizes safe driving and driver’s education. Mercedes-Benz Driving Academy’s approach also seeks to achieve greater compliance with policies that have successfully been implemented to increase driver’s safety such as the Graduated Driver Licensing (GDL) rules. The GDL framework provides for compulsory driver’s education, combining classroom or online learning, on-road training, mandatory supervised practice, and restricted driving privileges once a novice driver starts driving solo. By using an integrated program to reinforce learning points throughout the learner driver period, as well as involving parents in the process, the students can realize greater benefits of GDL. 1 (a) P.F. Waller, “Driver Education: Can Its Goals Be Met?” Perception, Vol. 8, No. 6 (1975). (b) P.F. Waller, “The Genesis of GDL”, Journal of Safety Research, Vol. 34 (2003): 17-23.